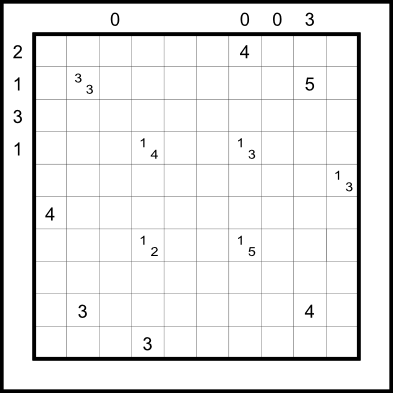 Between writing puzzles for the Polish Championship, preparing for a Sudoku Workshop I’ll be conducting this Saturday, the usual solving side of things, and the fact that its submissions time in college, I’ve been way too busy again. 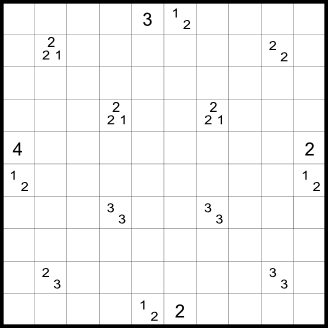 If you still haven’t tried, today is the last day of the December Edition of LMI Beginners’ Sudoku Contest. The author is Tom Collyer and the variants are Untouch, Killer, Outside, Anti Knight, along with the 4 Classics as usual. Coming up this weekend is the 3rd LMI Screen Test. This one’s a bit different from the last 2, but similar in concept. 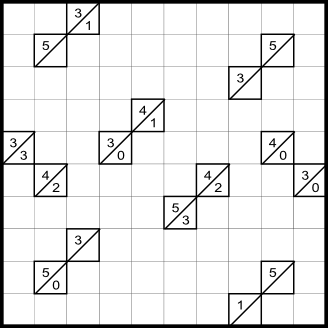 There are 30 6×6 Sudokus to be solved with all kinds of variations. 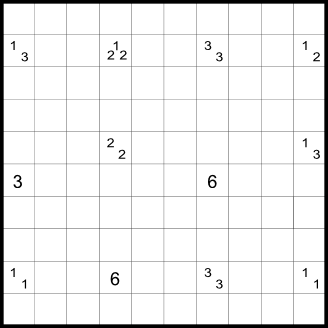 The solving will all be on the online interface, with no pdfs. The duration is 60 minutes of solving time (not counting the 15 seconds to read instructions that can be ended manually). The designer is Deb Mohanty. While I’m at it, I’m looking for a team to join in the Croco Liga. Any takers? 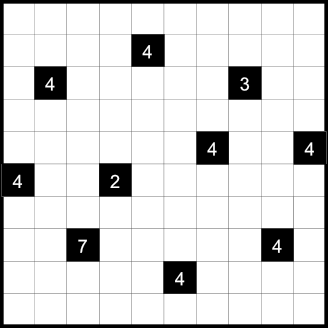 Anyways, today’s post is just the 10 puzzles I sent for the Beginners’ Puzzle Contest hosted at the Sudokufans site, and also, I am told, an offline event in Beijing. The requirement was 10 easy/medium puzzles of 5 different genres. The genres, in order, are Yajilin, Tapa, Norinori, LITS, Bosnian Road. Click on the puzzle names for rules. 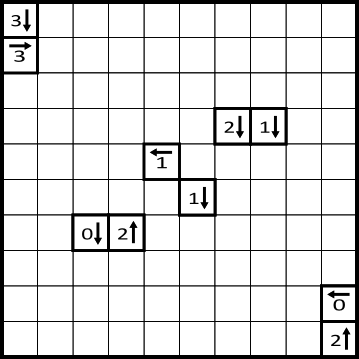 Minfang Lin from China recently asked me to write puzzles for a Beginners’ contest to be hosted on the Sudokufans site. 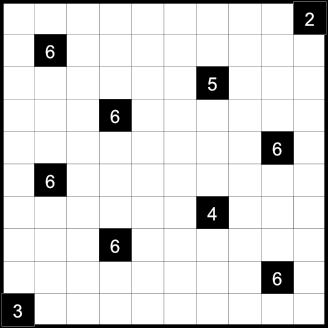 The format is basically 10 easy-medium puzzles, 2 each of 5 different genres. This is the IB for the one I’ve written. Its in Chinese, and as of now these contests are mainly directed at Chinese puzzlers, so if you’re reading this, you’re Chinese, then go for it! I’ll probably release the puzzles after the contest is done. I have wanted to create a Dotted variation of Tapa for some time now. The problem is, I didn’t know a way to use it as the only examples I’d seen of it were Dotted Loop/Dotted Snake which are path oriented. But then I came across Hungarian Pentomino and that gave me a few ideas on how to make things work. I discussed about it a little with Zoltan and Bram but I still wasn’t sure about the best approach so I just went for all of them. I have my own views but I’ll let people decide which works better/is more fun. I threw in a classic Tapa just to get things started. I feel 244 might be a variation of a variation, and 246 might not pass for a Tapa, but I was just experimenting and thought I’d post all the results. 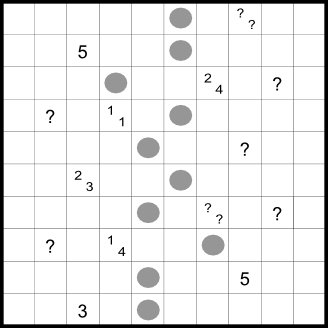 Puzzle 241 – 245 : Follow Regular Tapa rules. Additional rules given below. 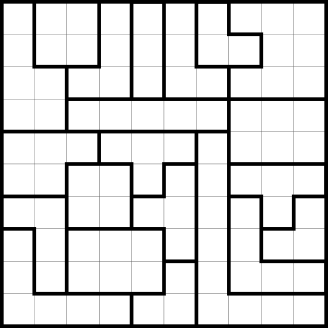 Puzzle 242 : Reading from left to right, top to bottom, there are exactly 4 shaded cells between every pair of dotted shaded cells. All dotted shaded cells are given. 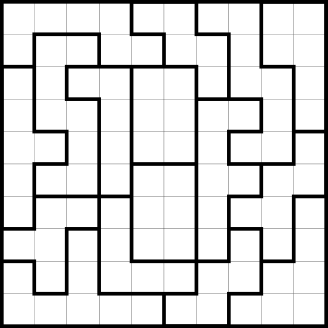 Puzzle 243 : Reading from left to right, top to bottom, every 3rd shaded cell is a dot. 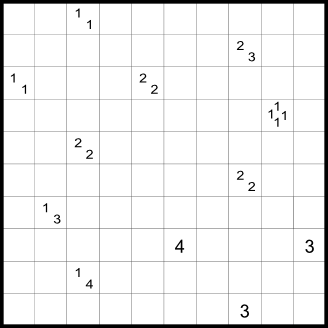 Numbers outside the grid give the number of dots in the corresponding direction. 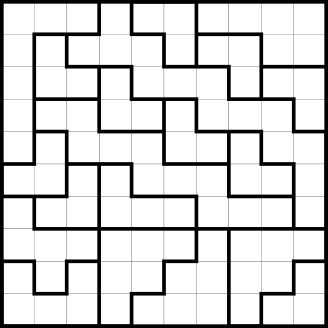 Puzzle 244 : Reading from left to right, top to bottom, every 5th shaded cell is a dot. Dots cannot touch each other, not even diagonally. 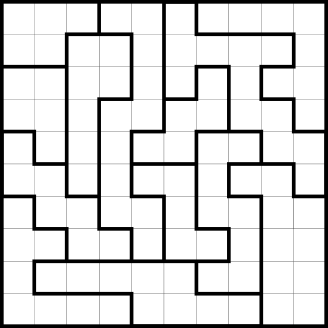 Puzzle 245 : Reading from left to right, top to bottom, every Nth shaded cell is marked by a dot. 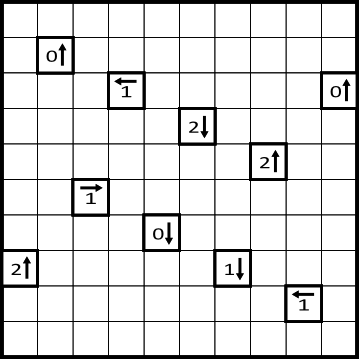 N is a constant value that needs to be determined by the solver. 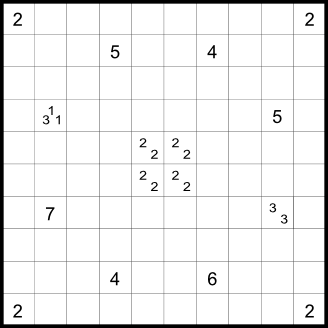 Puzzle 246 : Reading from left to right, top to bottom, every Nth shaded cell is marked by a dot. N is a constant value that needs to be determined by the solver. 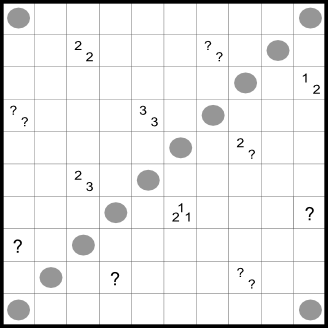 The wall observes all regular Tapa rules, but the clues are different – The top half of the clue is a minesweeper clue, that gives the number of shaded cells (without block-differentiation of Tapa) around the clue, and the bottom half gives the number of shaded cells around the clue that are dots. The difficulty of all these I’d say is around medium.